Admission Process for MBBS ABROAD. The admission process becomes very simple once you go through reliable overseas education consultants. Once you submit the required documents, the process would be initiated immediately. One can reserve/book the seat prior to the 12th results in case the consultant has already booked the seats in the university only on the basis of the application fees. 12th Level results with eligibility matching (minimum 50% in PCB) as per the university. Token amount or Registration amount to reserve your seat in the desired university. IMPORTANT NOTE: You should always put money in the consultancy’s bank account and ask for the proper receipt of the same. Also, If you want to apply for the education loan then ask for all the documents from your consultant that your bank needs to start the loan sanctioning process. INVITATION LETTER FROM THE UNIVERSITY. If you already have the passport then you can directly apply from the 2nd step i.e Invitation letter. IF YOU DON’T HAVE THE PASSPORT THEN APPLY FOR IT. The student should never hand over the passport to the consultant before the admission letter has been issued. The next step is to apply for Visa. NOTE: Always look for the last date of application, last date of submission of your documents, appointment date for the visa , and last date to report to your university. Avoiding and ignoring these points can cause you a lot of frustration and it can even waste 1 complete year of your admission just because of you and your consultant’s carelessness. 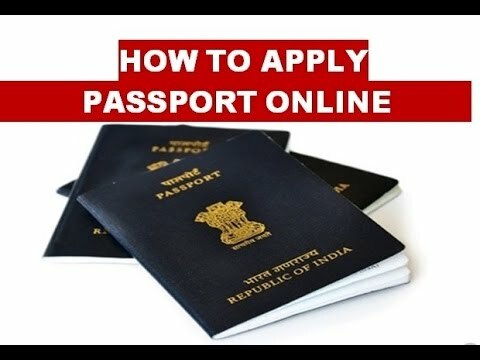 How to apply for Passport Online ? MOST IMPORTANT: MAKE SURE YOUR DATE OF BIRTH AND YOUR NAME(spelling and surname) IS SAME IN ALL THE DOCUMENTS THAT YOU’RE TO SUPPOSED TO SUBMIT. AND DON’T GET TRAPPED BY ANY OF THE PASSPORT AGENT OR ANYTHING BECAUSE THE ONLINE PROCESS OF APPLYING PASSPORT IS REALLY EASY AND CONVENIENT. We have attached a video below, so please check it on the desktop for better viewing experience. What is Tatkaal Passport and how to apply for the same ? Issuance of Tatkal passport normally take 7-10 days . Affidavit sworn before a Magistrate/Notary stating date/place of birth as per the specimen in Annexure ‘A’ by illiterate or semi-illiterate applicants (Less than 5th class). Police Verification is required on a Post-Passport Issuance basis On third working day excluding the date of submission of application – without waiting for the Police Verification Report. A: In such cases, minors can be issued passport under the Tatkaal scheme subject to Passport Officer’s (POs) approval. A: Two appointment quota ‘Normal’ and ‘Tatkaal’ are available for ‘Tatkaal’ applications. Tatkaal applicants who are not able to book an early appointment under Tatkaal quota may consider booking appointment under Normal quota also. However, Tatkaal fee will be charged irrespective of the quota under which appointment was booked byTatkaal applicant. Normal passport is category of passport application in which the complete process takes time of approx. 45-60 days. High School Mark sheet. In case high school certificate is missing then FIR/NCR from the nearest police station to the area where document is lost or Affidavit (SDM verified Affidavit) need to be provided. An Affidavit sworn before a Magistrate/Notary stating date/place of birth as per the specimen in ANNEXURE ‘A’ by illiterate or semi-illiterate applicants. Passport Size Color Photographs (6 Nos.) with white background. What is the process for issue of Passport under Normal scheme ? What is the process for issue of Passport under Tatkal scheme? What are the documents required to apply for Passport ? Which are the documents acceptable as Proof of Address ? Which are the documents acceptable as Proof of Date of Birth ? If I have lost my passport , what would be the procedure for re-issue of Passport ? For passport under Normal scheme one should apply to the passport office under the jurisdiction of which it falls. Applicant will be allotted a date and time slot for document verification and further processing . After this there will be police verification . If it is positive passport will be issued. If somebody needs passport urgently , he/she can apply for Passport under Tatkal scheme . For this other than the documents required under normal scheme , applicant will have to arrange Annexure ‘F’ ( certificate) from class I officer and Annexure ‘I’ (Affidavit ) . Under Tatkal scheme in one week time passport is issued. applicants (Less than 5th class). Posted in STUDY MBBS ABROAD•4 Comments on How to apply for your PASSPORT and for ADMISSION in MBBS ABROAD ? How to select a country and university for studying abroad ? Thanks for providing the links and application information. Good Information. Useful for the students. Merit is a Study abroad consultants in Bangalore. Offers best educational services to the students who are looking to study abroad.